Thanks for coming back. 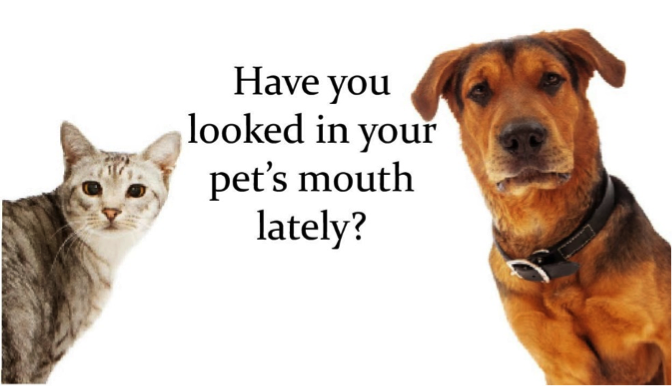 Dental health is more important for your pet than you might think. It is more than making sure our breath is fresh. It is making sure that bacteria or tarter in the mouth do not cause damage to teeth, gums or bones, or get into the system and cause heart, kidney, or lung damage. What you can’t see going on under the gum line CAN hurt us. We can have infection or fractures which are detected with a sedated oral exam and x-rays. These are done during the dental cleaning and treatment procedures. The most common disease among dogs and cats is periodontal disease. If your pet has bleeding gums, yellow or brown crust on their teeth, or a change in chewing or eating habits, see a veterinarian. Some type of home care is necessary to keep our teeth healthy just like with humans. Ideally, our teeth should be brushed daily just like yours, but I know you people folk get busy. And frankly, some of us hate it so much we just won’t let you! I do have some friends that love it (they say they get treats afterward! ), so please keep trying. Be sure and use toothpaste made for pets that don’t contain fluoride. (There are also enzymatic rawhide chews that help prevent plague as well.) 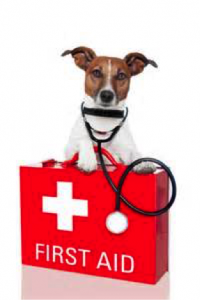 If you need help getting started Liberty Veterinary Hospital is happy to help, and even have the products to get you started. Most pets will need a professional cleaning at some point and the LVH staff will let you know when it’s time. So give them a call to find out how they can help your furry friend today. One more week on senior wellness. So be sure to come back and show off your knowledge on a little quiz. And if you need to brush up, be sure to visit libertyvet.net. I’m Alright, or am I? Age is just a number, but I wish our bodies would learn that. The older we get, the chances of things going wrong in our bodies increases. The only problem is that we can’t see what is going on inside. That is why Liberty Veterinary Hospital has Senior Wellness plans for their canine and feline clients. The plans include 2 physical exams 6 months apart, complete blood work, urinalysis, dental exam and eye exam. The tests and exams help to determine if there is dental disease, painful or blinding eye disorders, diabetes, liver/kidney disease, thyroid disease, bladder stones, or tumors. Pets are unable to communicate their discomfort so it is necessary to have exams and tests to detect early stages of any diseases. LVH wants to ensure that your pet has the best quality of life for the longest time possible. There are even discounts offered for medications and testing as part of the plan. For more information go to libertyvet.net or give LVH a call and the friendly staff will be more than happy to help. Come back next week for information on dental health. Fall is in the air, the time to slow down and enjoy the cool air after a long hot summer. And sadly a lot of us are slowing down because we are not young pups anymore. 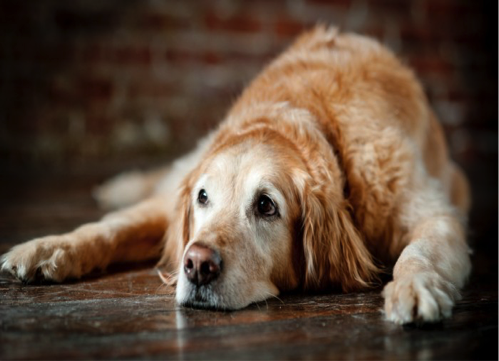 Just like humans, canines and felines feel the effects of aging too. Since cats and dogs age more quickly, we feel those effects sooner but can’t really communicate our troubles to our humans. 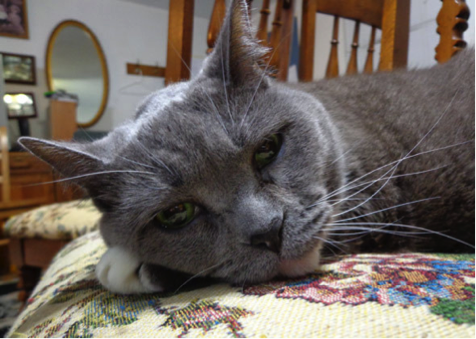 Liberty Veterinary Hospital supports our senior years with wellness plans for cats and dogs. It is a preventative maintenance plan for us older pets. Yes, that would include myself, as I will be 14 in just a few months. I feel alright but sleep a lot more and play a lot less. From time to time I do have some stiffness, and I think my senses are weakening. But those are natural aging signs. If your pet demonstrates loss of house training, increased thirst, increased frequency of urination, confusion or disorientation, skin changes or altered appetite then you need to have your pet examined. Conditions that go undiagnosed can advance quickly which is why LVH suggests 6-month exams for their senior patients. Come back next week for more information on the senior wellness plans that LVH offers. If you can’t wait, check out libertyvet.net for more information or give the fine folks at LVH a call. I wish I could eat all day long, but my mom has me on a pretty strict diet. Like so many of my furry friends out there, I have to eat prescription food to stay healthy. That means no human food, darn. Oh how I miss cheese and chicken, or a nice bite of a burger. You see, my problem didn’t arise until I was about 5 or 6, so I was used to getting “table scraps”. But no more for me. 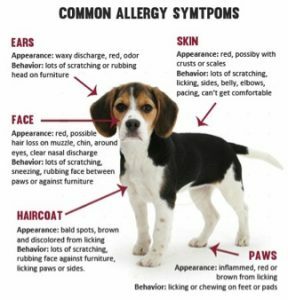 And some good advice to you, is to be observant of changes in your pet because you never know when they could develop an allergy to something. And if you’ve ruled out fleas or environmental things, then most likely it is the food they are eating. 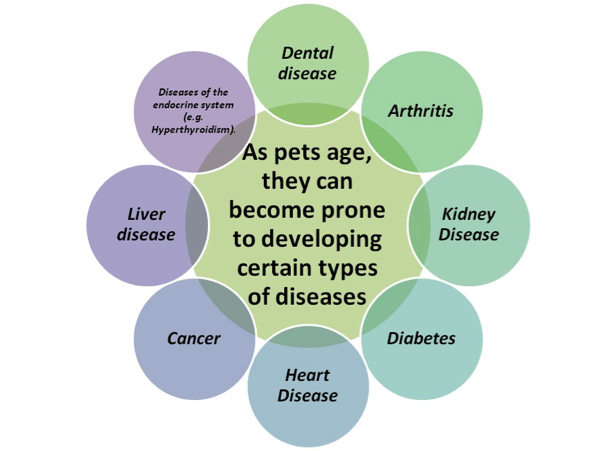 Pet food has a variety of proteins in them (chicken, beef, milk, pork or eggs) that can cause irritations in us. Foods do not usually cause anaphylactic reactions like in people. Our itchy skin or digestive problems come on gradually after reacting to a food we’ve eaten for years. LVH can help determine whether your pet’s food may be causing a problem. Not only can they do a food trial with your pet to help determine what the cause is, they also carry prescription Royal Canin dog and cat food that comes in a variety of blends for most pet’s medical needs. I myself enjoy the Royal Canin Urinary SO Moderate Calorie dry food mixed with the canned food and like I say it works to keep me healthy. So don’t hesitate to give LVH a call. They really do care and know how to help. That’s all for August. Wow how time flies! Join me next month as I talk about Senior Wellness. Sadly another topic I can relate to. Until then, remember there is always libertyvet.net to catch up on the latest blogs or newsletters from LVH. We all know dogs and cats can itch and groom themselves from time to time, but when it becomes obsessive with visible redness or hair loss, then that’s a problem and Liberty Veterinary Hospital can help. If you know your pet is free of fleas or ticks than it could be something in the air or that came into contact with their skin. Pollen, grasses, weeds, mold, dust etc. can cause problems for your pets too. And if you’ve ever suffered from allergies then you can really sympathize with your fur baby. We can itch enough to create a skin or ear infection. A good start is a nice bath to help relieve the itching and to wash off the allergens causing the problem. Be sure to use a prescription shampoo because others may just cause dry skin and which could worsen itchiness. 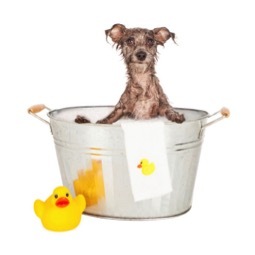 If you are unsure which shampoos are best for your pet, LVH is a great place to seek advice. They can advise you on not only the best shampoo for your pet, but also medications (injections, oral or topical) should they become necessary. Join me next week for food allergies – yep, we get those too. But until then be sure to visit libertyvet.net for more health care needs. 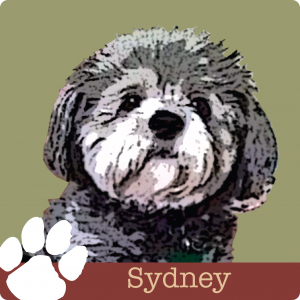 Sydney here and I think I can speak for all my fellow canines and felines when I say we hate fleas! They are not only tiny nasty bugs but worse than that, they bite and can cause severe skin irritations. Fleas can give your fur baby skin infections with lots of redness, itching and even hair loss. Ticks can cause immune disorders like Lyme disease which are even worse. So what’s the best way to fight these persistent nasty critters? Prevention is the key, and Liberty Veterinary Hospital carries two great products to help: Bravecto (chewable for dogs) and Vectra for my canines out there and Advantage Multi and Bravecto for my feline friends. It is a simple, painless solution to keep us safe all year. Not to mention keeping our humans free from bites and itching too. And if you think an indoor pet is safe from getting fleas, think again. Anyone or anything that leaves the house and reenters could be carrying in a hitchhiker ready to make a home on the unsuspecting pet that lives there. And once you have fleas in the house, I am sure you are aware of all the hard work it takes to get rid of them from us and the home. Prevention is a win-win for everyone. So, give LVH call or check out libertyvet.net for more information today. Come back next week when my topic is environmental allergens, and until then enjoy the weather and don’t let the bugs get you! Well it’s the last month of summer. That means just a few more weeks of fun before the start of school. So, we here at Liberty Veterinary Hospital hope you made the most of the sunny warm days we have had so far this year. I also hope your fur babies enjoyed it too. No itchy red skin or obsessive grooming to be seen. But if you have noticed this, it could be from allergies. Yes, pets can have them too from fleas, food or the environment like pollen, weeds, grasses and dust. One day you see symptoms and one day you don’t. And just like in humans, one day it just pops up. Certain seasons can make it worse too. Watch the weather for high pollen counts. These will cause more severe allergy symptoms for your pet. Lucky for you, this month’s topic is pet allergens, and if your pet is allergy free now, they may not always be. So, come back next week as I delve into the dreaded topic of fleas. Yuck! Despite being so small, they can cause some severe allergies in dogs and cats. 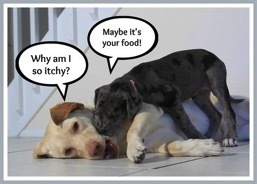 And if you can’t wait, check out libertyvet.net for more information on allergies in pets. I sure hope that all helps. We all need to work together to keep pets safe and healthy. If you want even more information on poison control after looking at libertyvet.net, you can go to ASPCA’s website at www.aspca.org. Watch what your pet eats! What pet doesn’t love to beg for food? We all long to have a taste of the delicious food people get to eat, but only some of us get to enjoy any from our owners. You do want to make sure you are not giving them anything that could be toxic for them. I mean I am sure you all know about chocolate and how bad that can be, but did you know that grapes/raisins are bad for us too? 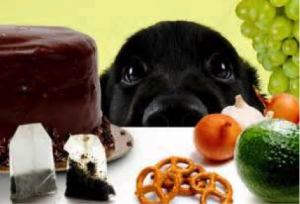 Liberty Veterinary Hospital wants to make sure you know what foods to keep away from your fur babies, so here is a list of items to keep an eye on: avocados, macadamia nuts, onions, garlic, chives, table salt, all alcohol, and gum or candy with xylitol in it. Please keep them away from your pet. That means grabbing it before they get if it hits the floor while you’re cooking. I know I am always at the ready for dropped food but my mom and aunt are pretty quick to get it before me. Guess that means I’m lucky they care, but most of the time I’m just sad I missed a bit. And since we are so quick to jump when something hits the floor, be careful with medicines too. Even daily meds like ibuprofen or decongestants can be toxic to us. Not to mention getting ahold of our own medicine and eating all the pills at once. You definitely need to keep an eye on what you leave in our reach. No matter how good your pet usually is about not getting into your things, you can never be too safe. It only takes one time for us to get too curious and it could be the last. Remember, any chance your pet got into something they shouldn’t, call LVH immediately (513-755-9700) or the pet poison help line (888-426-4435, charges may apply). Your pet’s safety is your hands. Come back next week for some final tips on toxic safety because one can never be too safe. But until then, check out libertyvet.net for more information on toxic dangers for your pet.